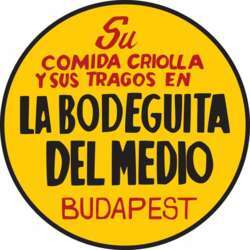 We are thrilled to invite you once again to another night full of fun before the Easter break at one of the most popular venues in Budapest for our exclusive monthly event—LA Bodeguita del Medio—Cuban salsa restaurant. Please come early to meet and greet fellow and new expats from 19:00 to 21:00. After that, there will be a live Cuban band who will pump up the volume so you can rock the dance floor. ***We offer a welcome drink for the first 100 guests. If you are alone, no worries! We're there to quickly make you feel part of the InterNations family, we'll introduce you to fellow expats! All Newcomers are very welcome, and you are welcome to invite your international friends to join us at this wonderful location and to discover more about InterNations, but please remember to ask them to speak English, as it is the official language at our events.